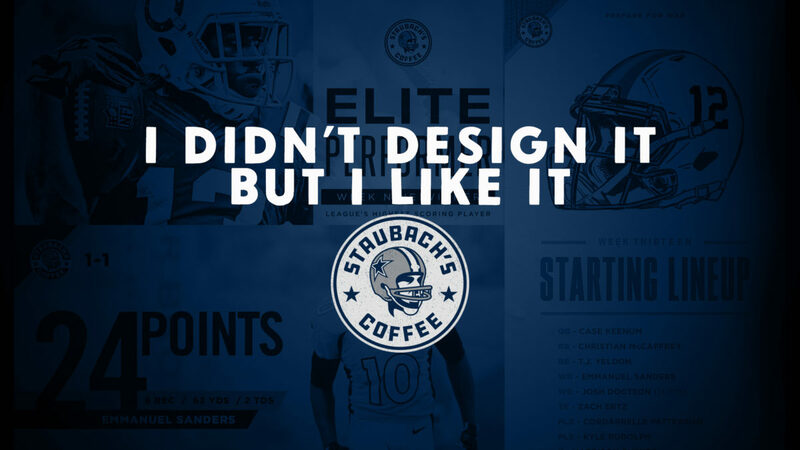 The moment I saw Brandon Moore’s Staubach’s Coffee brand on Twitter was the moment I discovered a brand new level to fantasy football. 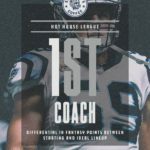 In 2017, I was invited to participate in my first ever fantasy football league. 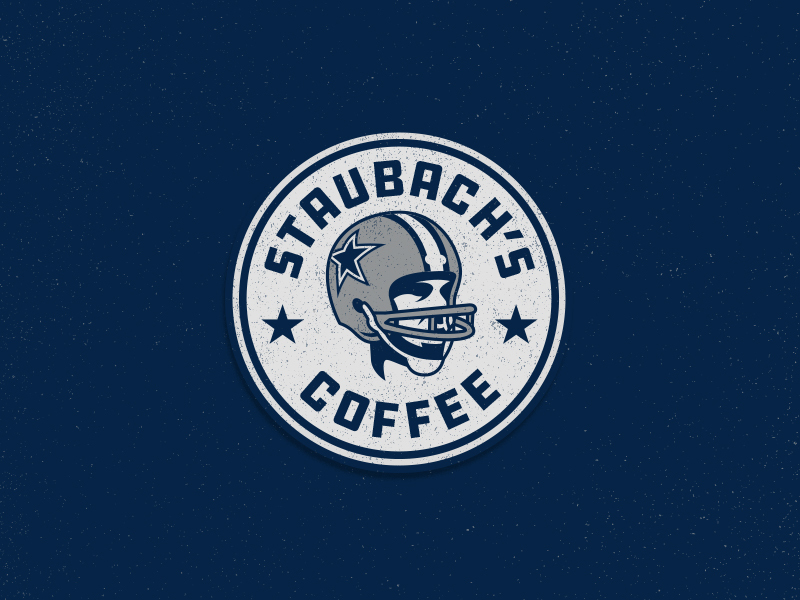 His Staubach’s Coffee brand inspired me to create an entire brand for my fantasy football team, the Stroll City Strivers. 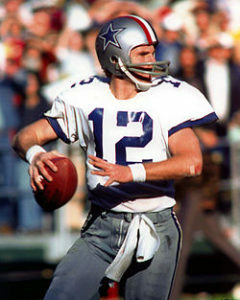 The very first thing that struck me about the brand was the creative name of the franchise: Staubach’s Coffee. 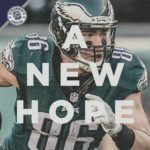 I’ve quickly learned the importance of a great fantasy football franchise name. 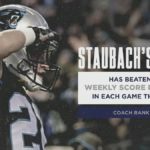 Staubach’s Coffee is a delicious, ingenious combination of the Hall of Fame Dallas Cowboys quarterback Roger Staubach and the American coffee company Starbucks Coffee. After you get done marveling at the magnificent name, you get to the logo. 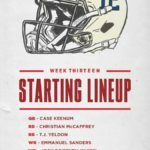 The star (hehe) of the show is the illustration of good ol’ Roger in the classic Cowboys helmet in the center. 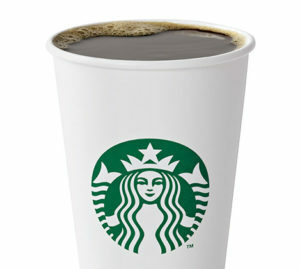 The name surrounds the illustration with a star on either side. The texture over the design enhances the classic feel of the overall brand. Also, it wasn’t just the logo that inspired me. 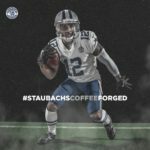 Take a peek at the #StaubachsCoffeeForged hashtag on Twitter to see how Brandon brought the franchise alive on social media. 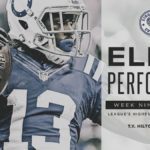 There were starting lineups, game results, top performer highlights, game ads, and even uniform concepts! This whole project is another example of when design and sports meet to provide me with such motivation and entertainment! 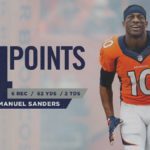 Brandon Moore is a Graphic Artist in the Miami/Fort Lauderdale area that currently does work for the Miami Dolphins and New Miami Stadium. His brand identities are awesome and I often refer to them when I am trying to present my own. I, personally, wish the Oklahoma City Thunder would call Brandon and tell him to brand the team. He already has a great presentation on his Behance that would uplift the visuals of the franchise to new heights. Salute and thank you, Brandon Moore, for your work!